When cousins Michael Bumgarner and Scott Sondles introduced skincare line Hemp + Honey Plus in April of 2014, the hemp oil and manuka honey-based products were part of a larger plan to build awareness around the industrial hemp industry. Nearly four years later, two things have remained constant: Bumgarner and the main ingredients, but the product’s got a new look and a curiosity-piquing addition to the formulation. As Sondles began to focus on the extraction side of the cannabis industry, Bumgarner and his wife Kelly, a dermatologist, turned their focus to the skincare line. Examining what they did right and what they could improve, “The more we learned really about cannabis, hemp seed oil, and specifically CBD, we were realizing we were missing something big with our old formulation and decided to improve the formulation and add CBD, which is really that powerful anti-inflammatory element within the cannabis plant,” Bumgarner says. It’s not the the three letters people generally associate with cannabis. While THC is the psychoactive compound responsible for a user’s high, CBD is characterized by its anti-inflammatory and antioxidant properties. Shedding Hemp + Honey Plus, the brand relaunched in 2017 under a new name that slyly combines its unique ingredients: Cannuka. In the new iteration, Bumgarner is joined by Partner Stephen Letourneau. It was Bumgarner’s mom that connected the two, with Letourneau’s experience in the public and private sector brining an integral understanding of the emerging cannabis industry that is estimated to be worth $42 billion by 2022. 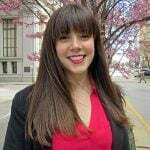 Experienced in merchandising, Letourneau spent time working for brands like J Crew, Kate Spade and Restoration Hardware. On the canna side, he and his husband owned a political consulting firm that ran the Responsible Ohio Issue 3 campaign. Joined by other partners, they also have a fund that invests in the cannabis space. Leveraging Letourneau’s connections, Cannuka launched through a POPSUGAR article in October of 2017. Sitting in a room of industry folks that had tried and tested beauty products using the same ingredients for years on end, “The combination of both the cannabis, or CBD from hemp, and then the manuka honey with its natural healing properties, was something new and exciting,” Letourneau says. 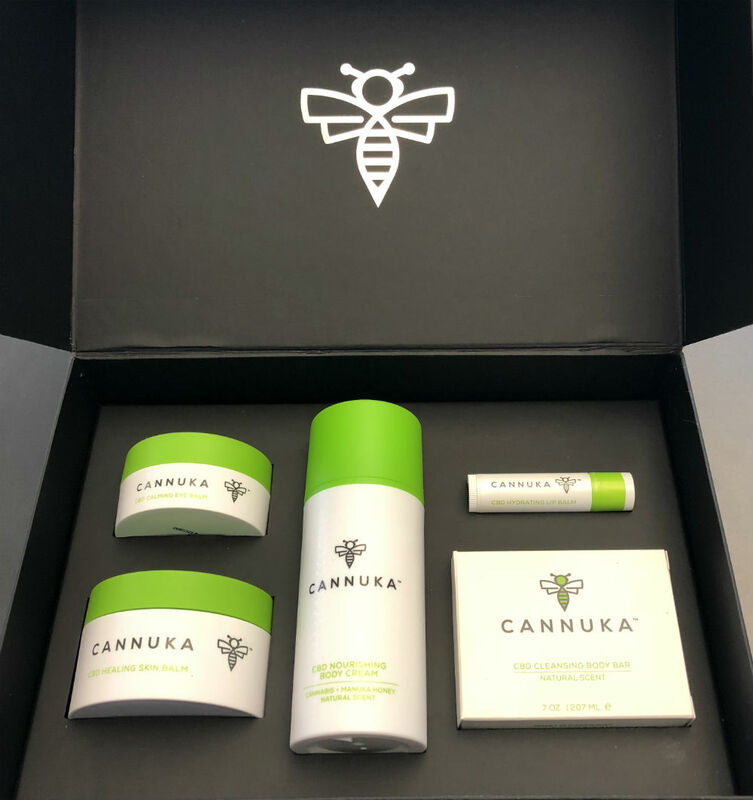 Cannuka’s current line includes five products: body cream, eye cream, body bar, lip balm, and what Letourneau calls their hero product, a CBD healing skin balm. Letourneau says they are all products the average consumer is familiar enough with that, despite the out-of-the-norm list of ingredients, they are still willing to try. Praises – and uses – are flooding in. The team says it has been interesting to see how different people are using the product, especially the healing skin balm, when they are not necessarily setting a certain expectation. From eczema to calloused hands from cross-fitting, “We get emails from people daily saying, ‘Hey, I have this chronic skin issue and I’ve had it for 15 years and this is the first thing that works for me,'” Bumgarner says. While many consumers understand the benefits, there are just as many that still need some education when it comes to canna products. The answer, by the way, is no. None of Cannuka’s products contain THC as is clearly stated on the label. The brand made the choice to include the signifier to educate consumers, also assuming that designations will one day be required on cannabis products. Cannuka has been seeing web traffic from cities like New York, Los Angeles, Chicago and Columbus with its Central Ohio-roots, and largely from its target demographic of women aged 33 to 55. Cannuka’s targeted consumer is not a heavy user or a canna advocate, but more along the lines of a soccer mom or educated millennial. Cannuka’s approach targets two fast-growing facets of the cannabis industry: women and beauty products incorporating cannabis. A more medicinal line is one of the many things that lie ahead for Cannuka. 2017 held lessons for doing business in the canna space. Although much of their target market lives on social media platforms, it’s one area where Cannuka is unable to sell. Because of the word cannabis, the brands is barred from selling on Facebook or Instagram, but what they can have are profiles and pages. In what is projected to be a huge industry, Letourneau is frustrated by what feels like an arbitrary decision by a small group of people to decide what is socially acceptable and what’s not. It extends into how they have been able to sell their product in other places. Cannuka had difficulty finding a credit card processing company to support their primarily e-commerce business. It’s also led to abrupt halts in the sales cycle at potential retail partners. Certain associates or members of management will be excited by the product, but get shut down by interests higher up the food chain. Many times it’s a generational issues and Bumgarner expects as older generations exit the workforce and new key decision makers move in, Cannuka will be having different conversations. While it’s meant they have had to be creative, 2018 will see Cannuka go from strictly e-commerce to a more physical presence. They’re headed out on a 30-city road show, traveling to more progressive cities to develop retail partnerships with unique boutiques, yoga studios, juice bars and the like. “We’re definitely going to be continuing to expand our Cannuka line,” Bumgarner adds. In addition to more targeted offerings, like specific products for feet or face, a men’s line is on the horizon. The masculine-focused line will trade the more grapefruit-forward scent of the current products for the tea tree and black pepper that accents the body bar. As for the medi-line, mid-2018 is the goal for products like a sleep aid, pain relief cream and anxiety cream. For more information, visit cannuka.com.